Graph databases and especially Neo4j have proven to be a great solution for close-related data analysis. This is why biotechnology research groups are looking into such technologies, and why we’ve given birth to a new Bolt driver. A Haskell one. 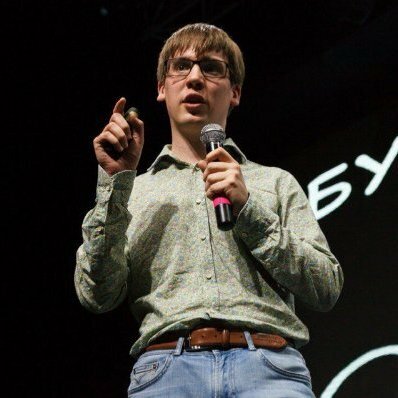 My name is Pavel Yakovlev, and I am a director of the Computational Biology Department at BIOCAD — a leading Russian biotechnology company. Our department is involved in R&D of anti-cancer drugs of several types: small molecules, monoclonal antibodies and gene therapy. One of the keys to success in our company is wide usage of computational technologies, like docking-based rational drug design, wet-lab automatisation and data analysis of automated experiments. Most of our computations are very computationally expensive, so we cannot afford runtime errors, and growing data flows require easy parallelism. These factors have led us to use functional programming paradigms like strong typing, purity and immutable data structures. But algorithms on isolated data cannot solve every problem – we need relationships. For example, each drug candidate should has a lot of experimental or predicted ADME(T) parameters and be linked with its target. 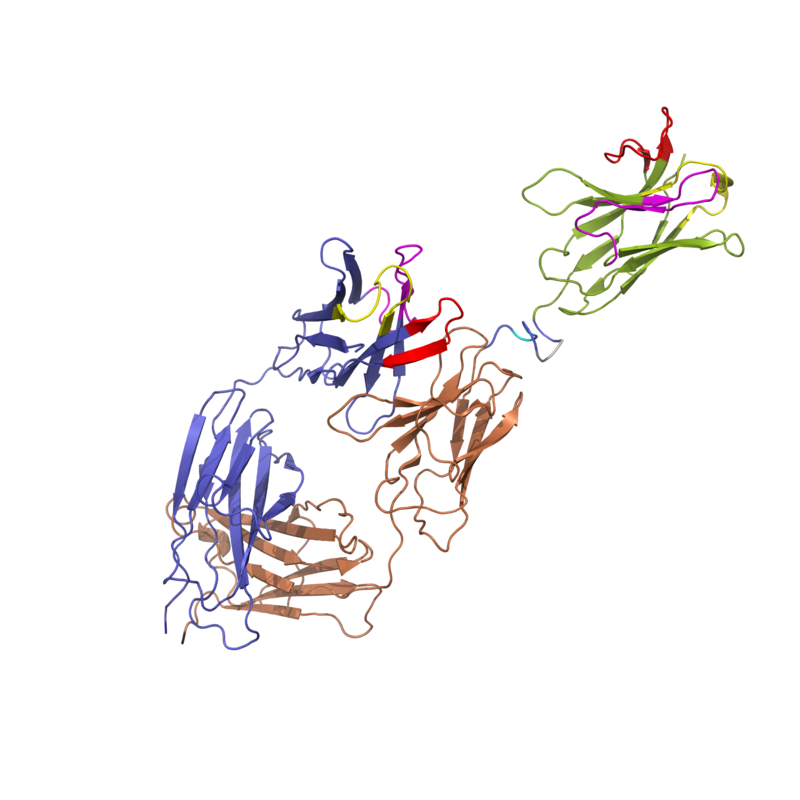 Forming data in such a way, we can do predictive analytics, such as which molecular subunits are the most important to achieve the quality profile of an active drug component. So, we looked into graph databases and their ability to solve our tasks. As my primary education is applied math and physics, I used to write scientific code a lot in the past, but now I do not write any for our systems. Nevertheless I began a one-week pet project to dive into graph technology using the Bolt driver and some toy programs (with real biological data) around it. I stated with boltkit, especially driver.py. The guide is great, but it’s for imperative programming languages. When you use Haskell, you have to think of how to organise the code in some type-driven way. Also, I did not understand the structure concept clearly. I have implemented a first version, but then I have found a Bolt Protocol specification and fully rewrote my implementation. records <- run pipe $ query "MATCH (n:Person) WHERE n.name CONTAINS \"Tom\" RETURN n"
For this to work, we need some building blocks in Hasbolt which I’ll explain in the following sections. If you’re into Haskell you hopefully enjoy this and can also provide me some good feedback. Value — serialization and deserialization of primitive types, strings, lists, maps and structures. It also introduces Neo4j types like node, relationship, unbounded relationship and path. Connection — network overlay for sending and receiving data. Of course, all Values already have BoltValue implementations. I use monadic context for each unpacking operations since it can fail: bytestring can be invalid and structure can have an unknown signature. Failure is a side effect, so you can use any monad to work with it. The implementation is provided for all Value types, nodes, relationships and paths. The example movie application that is also used for many of the other Neo4j drivers is a single page web app that just uses jQuery to talk to three different endpoints of a backend implemented in the programming language and stack of a given driver. The three endpoints provide movie search, single movie and cast listing and graph visualization of the whole example movie database. The front end just consumes the responses from these three endpoints and renders the results in place. The HTTP backend uses the lightweight Scotty web framework. To store the internal state with the connection pool, we can use a ReaderT monad transformer over the resource-pool. Both packages will be installed from stackage with the stack build command. In the GrapheneDB user interface, use “Launch Neo4j Admin UI”. 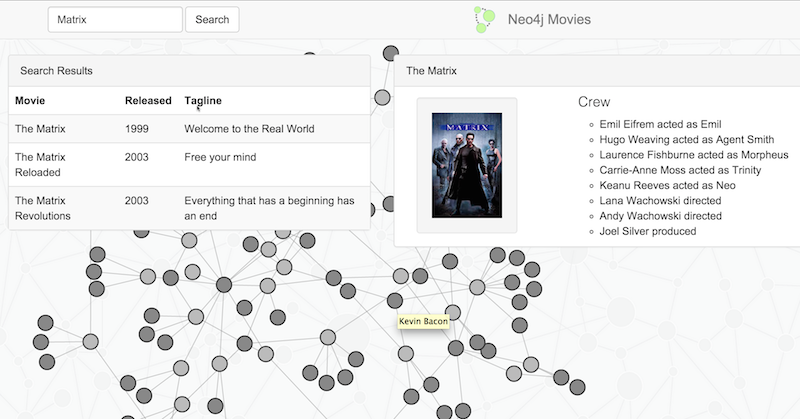 In the Neo4j Browser, import the :play movies dataset. Pavel Yakovlev is the Director of the Computational Biology Department at BIOCAD. He is based in St. Petersburg, Russia.